Exploring the tension between physicality and ephemerality, Jillian Clark uses construction-grade chalk and a snapline tool to create floor to ceiling immersive installations. By the very nature of the material, her chalk drawings are often the fleeting result of a deeply personal mark-making methodology manipulated to each specific space. 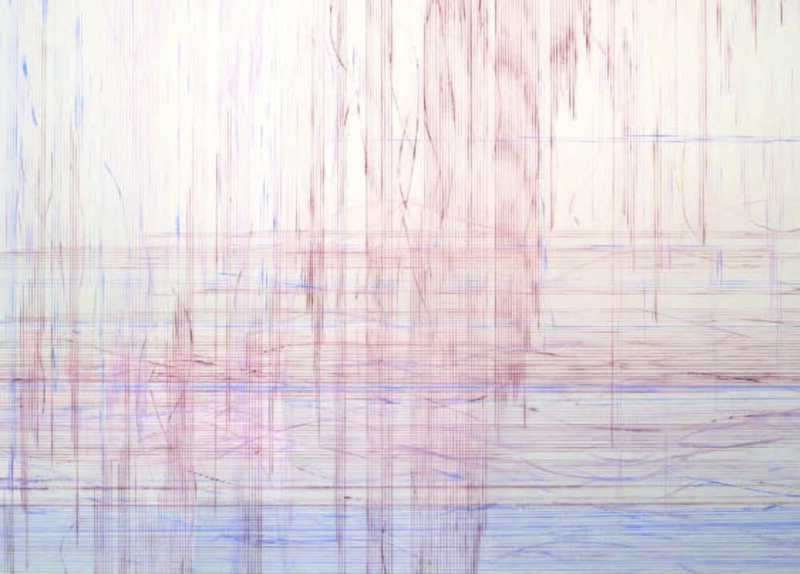 Every line builds with each trace and stain, having both a direct linear record and a residue that falls to the floor, becoming interconnected to the next, playing with the sensory understanding of the work. 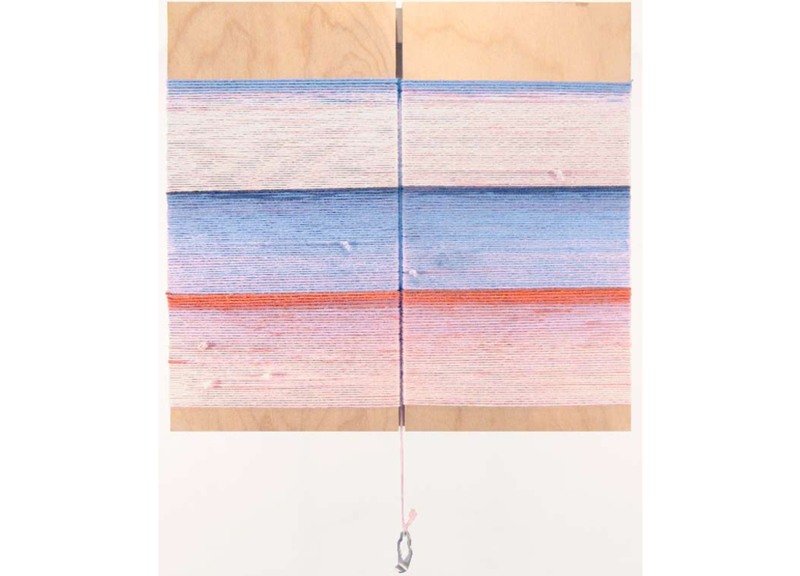 Initially only working with blue construction-grade chalk, she has expanded her visual vocabulary by incorporating other construction-grade chalks in orange, lavender, black, red, white as well as resin, which has served to protect the chalk from its own temporality. In reference to her audience, she says “I want them to feel the driving processes through observing the space and understanding their own personal reflections imbedded in each line,” which can be felt in both her large scale installations and intimate works on panel. Jillian Clark was born in California. She is based in the Tri-State area and manages the woodshop for the exhibition’s team at the New Museum. 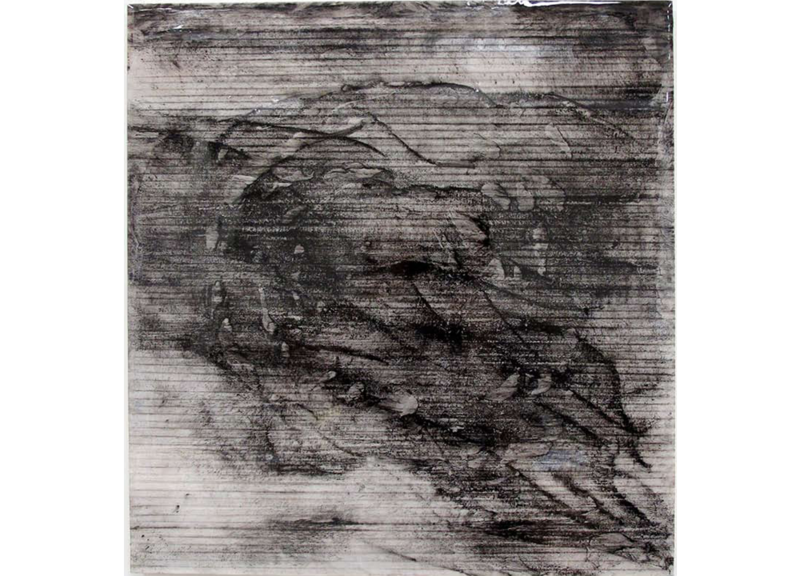 Her work has been exhibited in group shows at Root Division in San Francisco in 2011, the Walsh Gallery at Seton Hall University in 2012, the Governor’s Island Art Fair in 2014 as well as in a solo show at the Bortolami Gallery in New York in 2013. She received her BFA from the Rhode Island School of Design and her MFA from California College of the Arts in 2011.